Abt Associates, a major American business and government research, technical assistance, and consulting company, manages the USAID-funded Vector Control Task Order 1. Task Order 1 will support the US President's Malaria Initiative (PMI) and USAID to plan and implement an integrated vector control approach with the overall goal of reducing the burden of malaria. Abt has implemented indoor residual spraying (IRS) for PMI since 2011, delivering high-quality IRS programs and gathering the most comprehensive vector control entomological data in the world. Under this contract, Abt will expand entomological monitoring to guide programs focused on insecticide-treated mosquito nets and IRS and continue to assist PMI in reducing the burden of malaria through IRS and capacity building in 22 African countries where malaria is endemic. Abt also will continue to support PMI in IRS monitoring and evaluation, as well as environmental compliance. 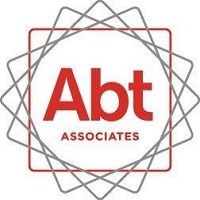 Abt Associates seeks qualified candidates for the project's operations in Tanzania. • All candidates should send applications to VectorControl_Tanzania@abtassoc.com with the position title in the subject line of the email. • Documentation required to be considered includes a Cover Page, CV, biodata form, payslip from the most recent position held, copies of educational certificates/degrees, and contact information of at least 3 references we can contact (must include email addresses and phone numbers). • Candidates selected for an interview will be sent a more detailed job description in advance of the interview. • Applications that do not follow these instructions, or that do not meet the stated minimum qualification requirements, will not be considered. Chief of Party - Provides overall leadership, management, and supervision to the project, and acts as the primary liaison between the project, USAID and the government. Provides overall strategic direction, operations management, technical leadership, and financial and administrative compliance for all project activities to assure IRS campaigns meet desired outcomes, are completed on-time, and within budget. Requirements: Masters Degree (minimum) or a Doctorate Degree in Public Health, Health Administration, or Medicine and international health experience, with significant experience in malaria prevention and control. Senior management experience in large international health projects/programs. Previous country director and/or chief of party experience, Specific experience with IRS or other malaria control programs and USAID project experience, are highly desirable.